This is the sub label of Soma. This is a label which shall provide an avenue for artists who have been previously overlooked in and around the Glasgow underground scene. The emphasis here is on quality music, covering everything that his not 'traditional' house music. DJ and promoter Paul Cawley (Phar Out, Psy Phi) has been on the Glasgow scene for years, playing his unique style on hip hop, funk, breaks and beats. He was therefore the logical choice to be the label's manager. 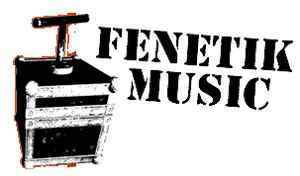 Artists currently on the Fenetik roster are Pablo, Sidewinder, STS and Daniel Ibbotson. Genius. The diversity of "The Word in the Sound" and its fusion of hip-hop, jazz, and the best lounge grooves I've ever heard would make it the zenith of any record collecion. Really. Or should I say REAL.